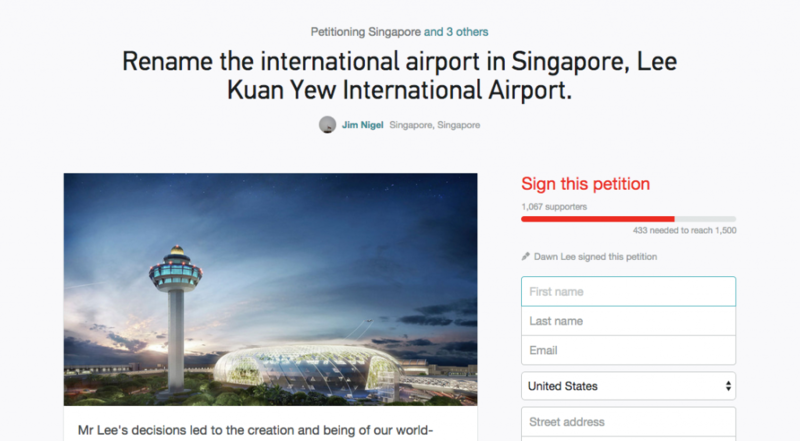 An online petition has been set up on Change.Org to petition for a change to the name of our airport in honour of our late founding father — from Changi Airport to Lee Kuan Yew (LKY) International Airport. 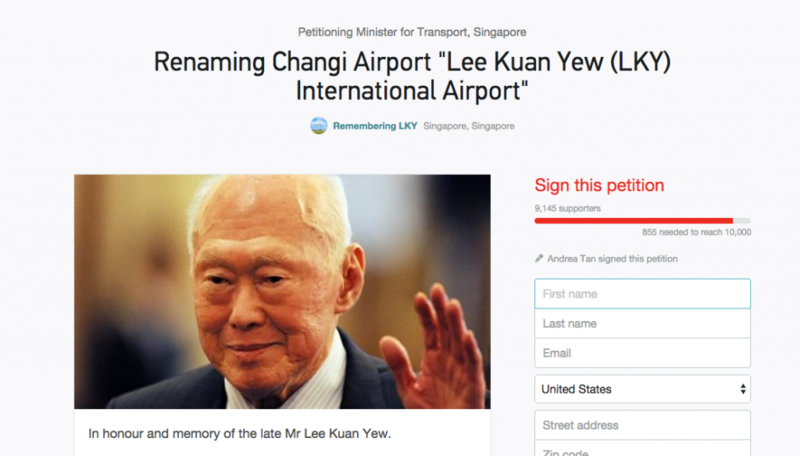 Originally started by Jim Nigel 3 days ago, it has now been recreated under the user “Remebering LKY”, and has since exceeded a whooping 9,000 signatures — a little way to go from reaching its goal of 10,000 signatures. Changi Airport has received many accolades since its creation in 1981. It has won 470 awards, including 30 “Best Airport” awards as of 2013, according to the airport’s website. Because of this, it is the centre of Singapore’s pride, and to some, there is no better way to commemorate Mr Lee. “As the John F. Kennedy, Ben Gurion and Charles de Gaulle airports reflect and represent the nations which they serve, so will the Lee Kuan Yew International Airport embody our statutes of democracy, peace, progress, justice and equality, as manifested in the person of Mr Lee Kuan Yew,” said the petition website in its case for the name change. Lee Kuan Yew has publicly declined any overt commemoration, including statues. Changi Airport has also become a national icon, which means that changes to its name may be a problem. But with the petition short of just 1,000 signatures to meet its target, it looks like this could be a very plausible eventuality.